Hey all, it’s been a few months since we had an update as I have been busy working on Forgotten Warriors but with nine chapters standing before me and finishing the 3rd draft I thought I could start doing some updates. 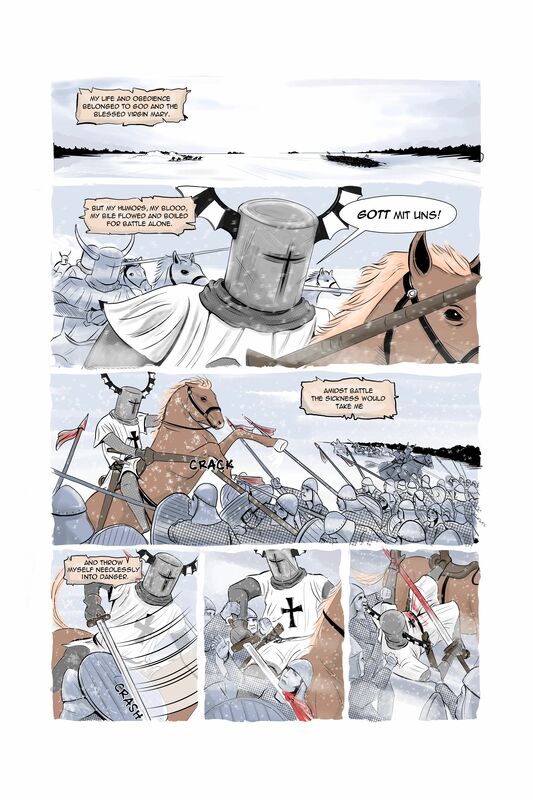 So to start with here’s a look at the first colour page of ‘Knights of Cademus’ by Virgil Yendell and James Evans. Don’t let this first page fool you though as the story will take place over two timelines, one of which will be firmly set in the modern day. I’ve been enjoying working on the guys with this and trying to flesh out some of the mystery behind Oliver Cademus’ secret army. The comic has all been sketched out and James is, as you can see from this page, gearing up to put some flesh on his pencils so watch this space for more news!